The purpose of installing source switching devices is to guarantee the continuity of power supply of certain priority loads, for example to ensure protection of persons or to maintain production cycles. 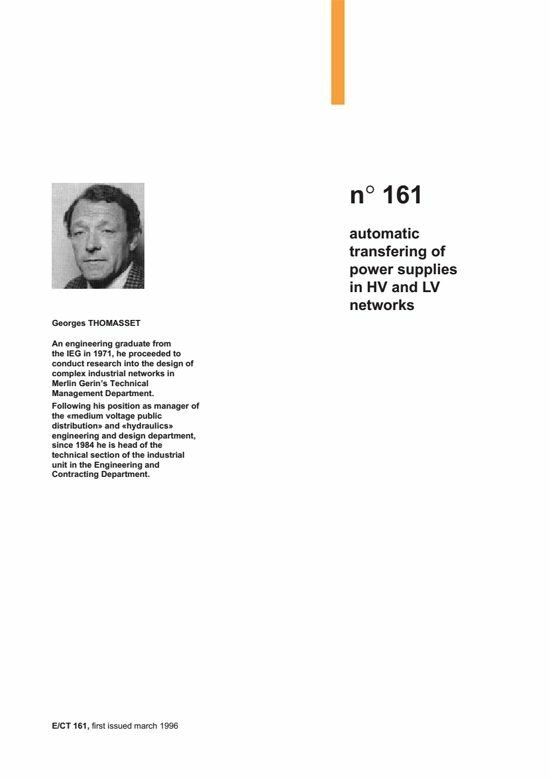 Such devices are put into operation either by failure of the main power supply or by voluntary operator action. Supply of HVA/LV-HV level A (U i 50 kV)/Low Voltage (U i 1 kV) dual incomer substations. 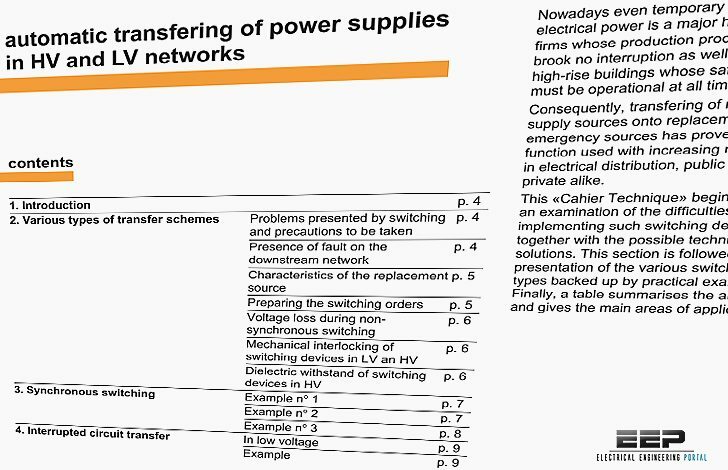 The devices using these power transfers are highly varied. For example, in power circuits, switching devices are electromechnical or static contactors, circuit-breakers and switches, in high and low voltage alike. Hope you will find what you’re looking for in these pages of Schneider Electric Cahiers Techniques.